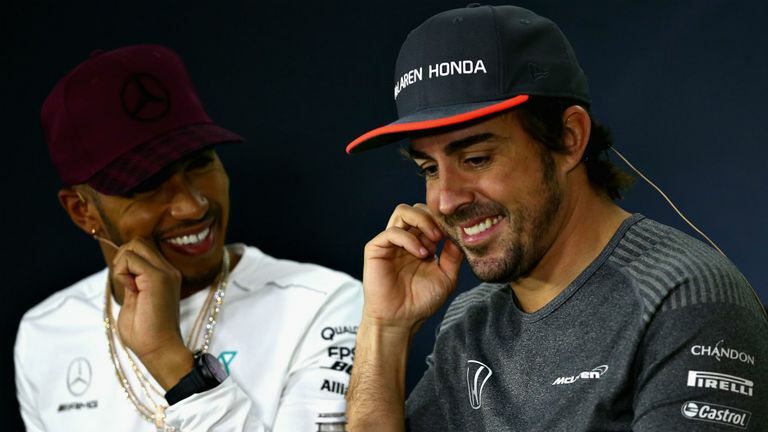 Lewis Hamilton has described Fernando Alonso as "arguably the greatest driver I've driven against" ahead of his rival's F1 exit. Alonso is quitting F1 at the end of this season after a 17-year career in which he has claimed two world championships, in 2005 and 2006, and won 32 races, the sixth-highest total in history. However, Alonso's more recent 12-year title drought has led to suggestions that he should have achieved even more for his ability and cemented places towards the summit of F1's all-time statistical tables. Hamilton believes Alonso deserved further success but, hinting at some of his rival's unfilled team moves in the past decade, says successful careers are not determined by ability alone. "I would say it is a shame that he's not as decorated as his ability," said Hamilton of his former team-mate ahead of F1's return to action this weekend at the Belgian GP. Alonso's career choices: Should he have achieved more? However, Hamilton added: "But he's been one of the greatest drivers and, for me, arguably the greatest driver I've driven against. I wish him all the best moving on." While Hamilton is in his 12th season of F1, the 37-year-old Alonso is half-way through his 17th having started his career as a 19-year-old back in 2001. Alonso is set to end this season with 311 career race starts - the second-highest total in history. "Seventeen seasons is a lot and I have huge respect for that because it's not easy," added Hamilton. "You look at all the other drivers who have gone that kind of stint, like Jenson [Button], it's a long time. Like Kobe Bryant [in basketball] staying within a sport for such a long period of time, it's a lot of commitment, a lot of time and dedication that people might not understand or appreciate. "But naturally as I'm in the sport I can appreciate it." Alonso's last race victory came in 2013 when he was still with Ferrari, with the Spaniard ultimately leaving Maranello for McLaren at the end of the following year to be replaced by Sebastian Vettel. It was Vettel who pipped Alonso to two world titles in 2010 and 2012 but the German isn't sure F1 has definitively seen the last of the Spaniard yet. "I wish him all the best, but I'm pretty sure he'll continue in racing in other categories. Maybe he'll come back, you never know," said Vettel. "Obviously the last years for him were certainly not how he expected them to be. We all look out for ourselves and you never really understand the full picture when you're not really involved in the decision-making process, and what's going on inside the team. "The reason why he didn't win the last couple of years is quite clearly because he didn't have the package to win. But it's a route he decided to go down, and sometimes it can work."